What happens to my active subscription if my credit card expires? Yes, You can upgrade or downgrade your Pixpa subscription plan anytime. System would charge you only pro-rated amount. 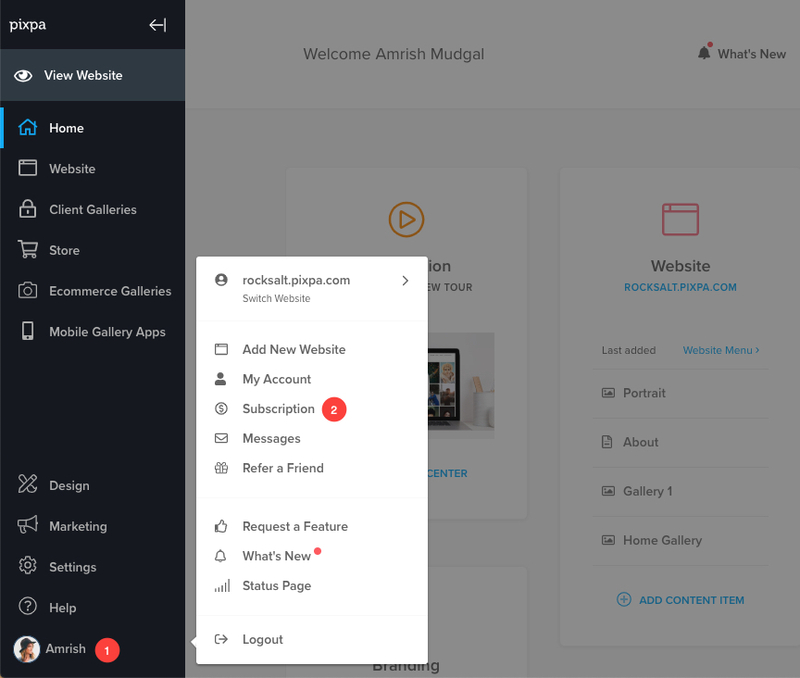 Now go to Subscription page. 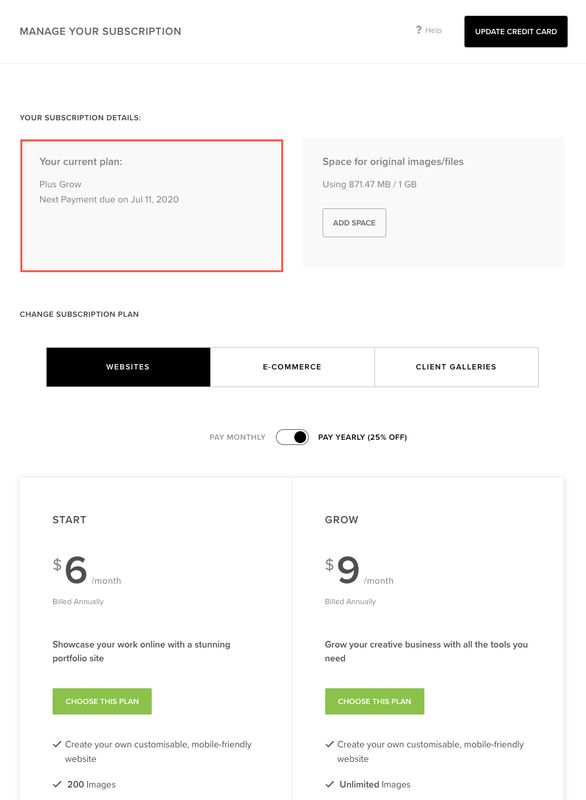 This will bring you to the subscription plans page. You can review your current plan details and select the plan that you want to switch to by clicking on choose this plan button. We will receive the subscription change request and will do the needful. We will inform you by email once your account has been shifted to the new plan. Typically it takes a couple of hours for subscription plan change requests to be processed. Monthly plan users can switch to a yearly plan to get discount benefits. Depending on your account usage (number of images used, Start plan might not be available to you. When you change your subscription plan, a pro-rated debit or credit is made to your account. That means, if you are upgrading, the figure is adjusted against the payment you have made for your annual plan, and the additional balance calculated is charged to you. Similarly, if you downgrade your plan, the extra payment that you have made for your original plan is adjusted in your future renewals.